“The Black Island” was published twice. The original version was published in 1938 and then again in 1966. As a result there are two sets of drawings of cars which were found in 1938 and those which were on road in 1966. In my last post, we had discussed about the Austin 6 Taxi. 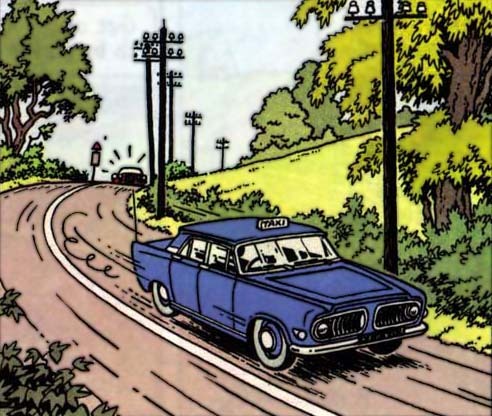 In the same scene in 1966, Tintin uses a Ford Zephyr Taxi. 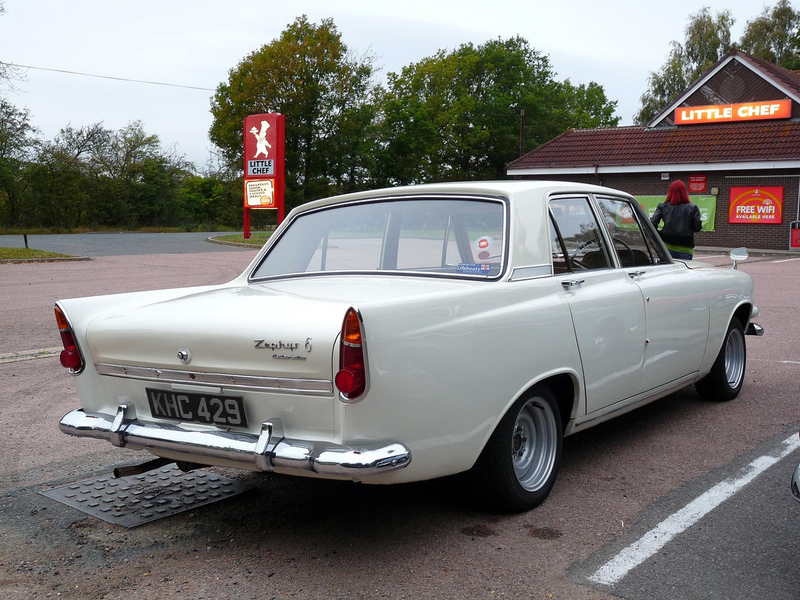 The car was a Ford Zephyr 6 Mark III. Complicated name…yes. 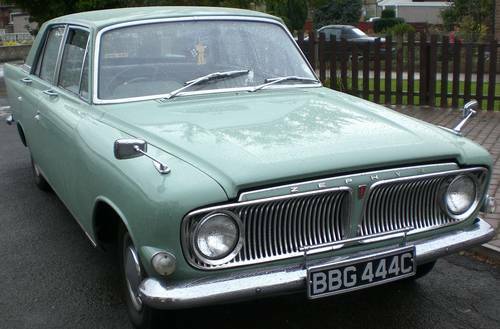 The Ford Zephyr was manufactured by Ford of UK from 1951 to 1972. Till 1962 it was offered as a six cylinder model which complemented the four cylinder Ford Consul, while from 1962 onwards it was offered with a six as well as four cylinder engines. 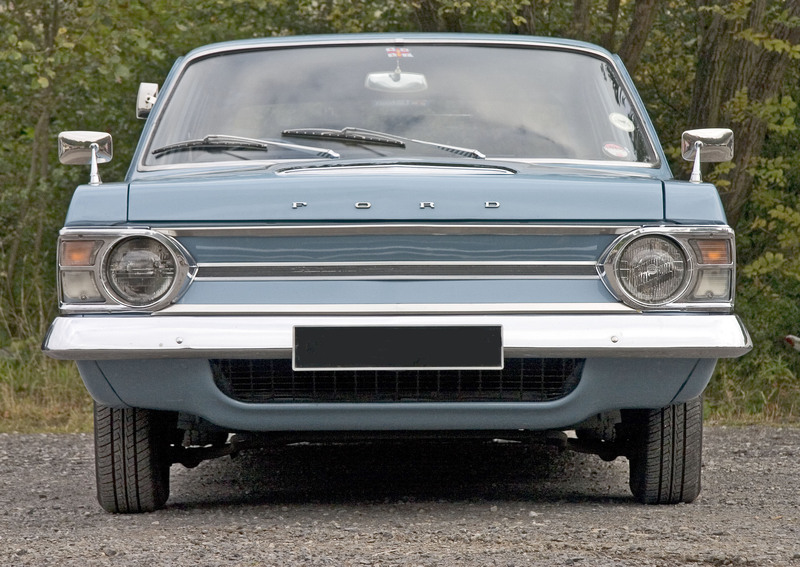 These were the largest cars offered by Ford UK till 1972. These were the first cars to be offered with independent front suspension using McPherson struts, something which is commonly offered by a number of manufacturers now. Mark I was offered in 1951 followed by Mark II in 1956 and Mark III was launched in 1962. The Mark III offered remarkably superior axles and gearbox which were the bane of the older cars. The Mark IV was launched in 1966 and continued in production till 1972. 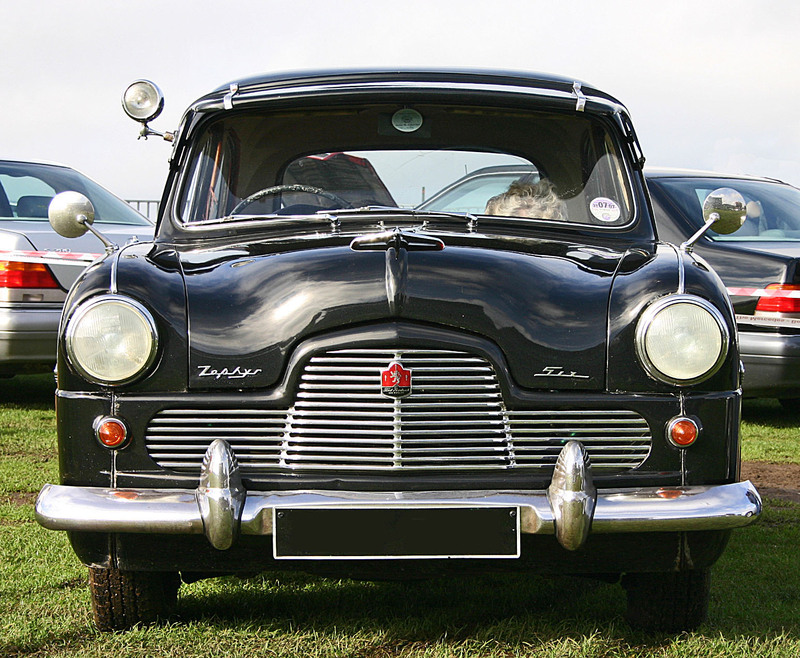 The Mark III was offered as a four cylinder Zephyr 4 and a six cylinder Zephyr 6. The cars could be distinguished by the grille. The six cylinder car had a split single while the four cylinder’s grille was not split in the center. Also Zephyr 6’s grille surrounded the headlights. Though the car shared some of its mechanical components and basic chassis design with the Mark II, it had a stronger overall body construction. It was designed by Roy Brown who was also the designer of the Ford Edsel, one of the largest failures of Ford. Not because it was a bad design, but because it was too ahead of its time. 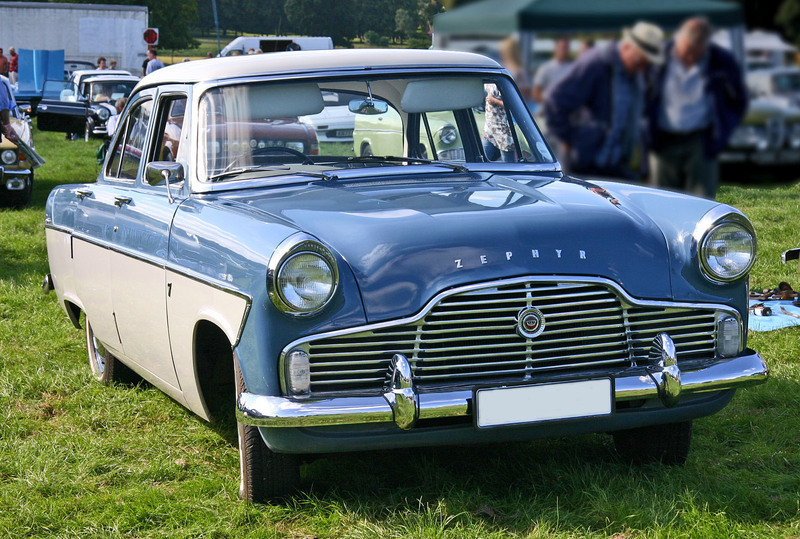 The more upmarket versions of Zephyr were badged as the Zephyr Zodiac. 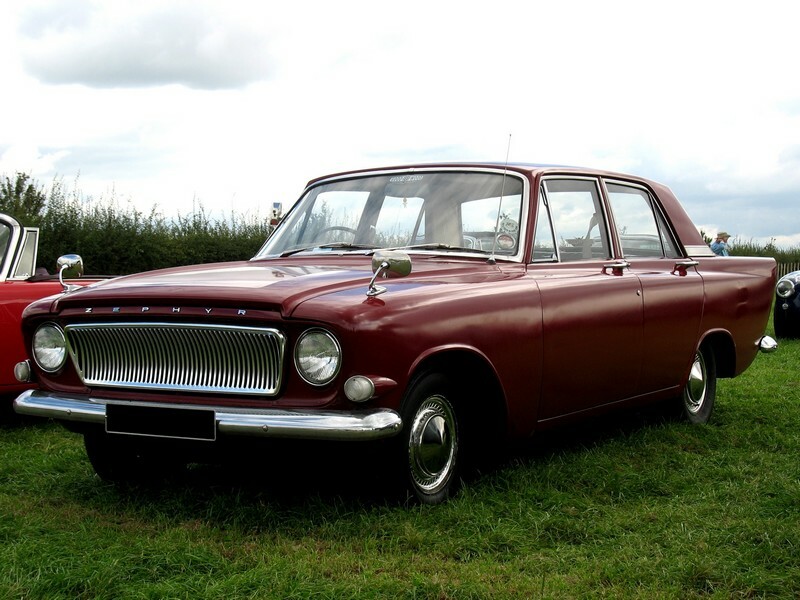 Ford Zephyrs were offered in two body styles, four door saloons (sedans) and five door estates.The Zephyr 6 were powered by a 2533 cc inline six cylinder engine breathing through overhead valves which turned the rear wheels using 181 N-m of torque. They produced 98 BHP at 4,800 rpm capable of pushing the cars to a 150 km/h when driven pedal to metal. 100 km/h was achieved in 16.1 seconds. To control this speed, these cars had front disc brakes and drums at the rear, a formula still very popular in India. The transmission controlled the speed and torque using a four speed gearbox with a choice of overdrive. If one were too lazy to change gears one could order an Automatic transmission also. Rear suspension comprised elliptical leaf springs while the front had McPherson struts. These cars were replaced by the larger Granada cars in Britain from 1972.